Overseas nationals willing to pursue education in Austria in a school, university or college for a period more than six months will have to acquire a temporary residence permit. The applications for this permit have to be filed prior to the entry into Austria and it cannot be further extended after the accomplishing the purpose of the visit. The students who wish to attend school grades from one to 12 in Austria have to acquire a residence permit. In order to avail this visa applicants of the visa have to provide the proof of their parents financial means, evidence of lodging, Admission letter to the school in original. Residence permit issued to the students does give the automatic right to the accompanying members of the family to reside in the country. 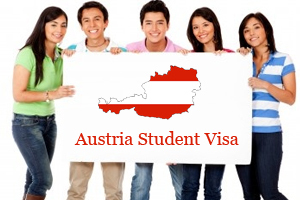 Austrian student visa can be issued to the applicants who wish to pursue education in college or university of the country. However, if the institution is a private university it has to be recognized .Students approved of this visa are authorized to bring the family members along with them to reside and work in the country on condition that they acquire a appropriate visa to do so. Austria offers residence permit for a maximum duration of one year for the individuals, who are working for educational purpose of non profit in nature. The residence permit issued under this category, cannot be extended and excludes the applicant’s family members. Austrian educational institutions have gained reputation at international level with outstanding results. 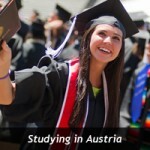 The educational system of Austria provides wide range of educational opportunities making Austria a perfect place to study and live. 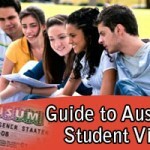 Austria Student Visa, Students in Austria, Study in Austria Austrian student visa, Education in Austria, study in Austria. permalink.